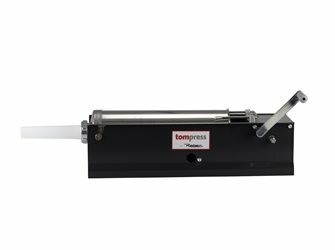 Tom Press horizontal slicer 5 liters by Reber, 2 speeds, 4 funnels, all-steel gears. Tom Press is approved by France and Benelux by Reber. 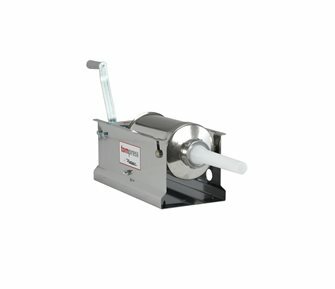 Tom Press horizontal horizontal meat pusher by Reber, 2 speeds, 4 funnels, steel gears. Tom Press is approved by France and Benelux by Reber. 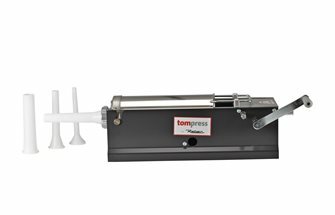 Tom Press 3-liter horizontal stainless steel meat pusher by REBER, 2 speeds, 4 funnels. Tom Press is approved by France and Benelux by Reber.